2015-16 College Signings/Verbals – MidwestAthleticConference.com – The Official Site of the Midwest Athletic Conference for mac news, mac scores and more. 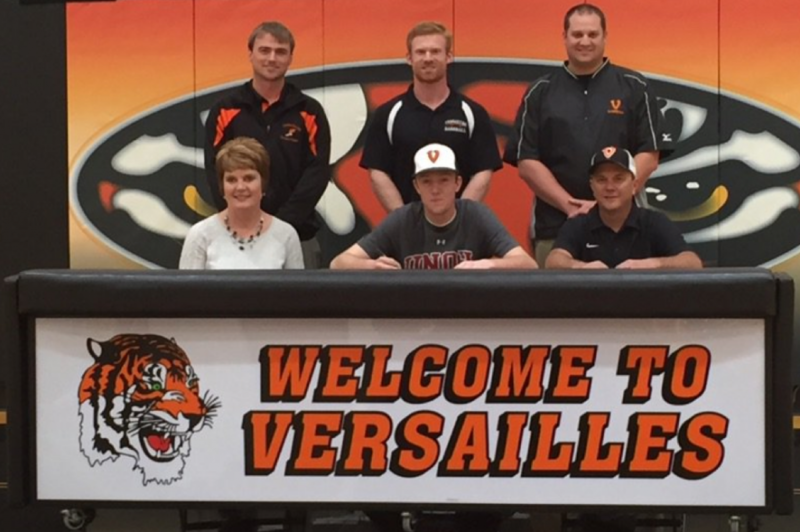 Versailles’ Brett McEldowney signed to play baseball for the University of Northwestern Ohio. By admin|2016-04-24T18:03:32-04:00April 24th, 2016|2015-16 College Signings/Verbals, Baseball, College Signings/Verbals, MAC, Scores, Versailles Tigers|Comments Off on Versailles’ Brett McEldowney signed to play baseball for the University of Northwestern Ohio. Versailles’ Lauren Monnin signed to play basketball for Edison State Community College. 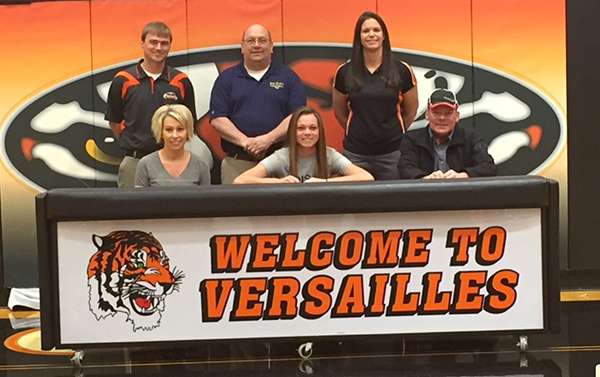 By admin|2016-04-19T20:09:05-04:00April 19th, 2016|2015-16 College Signings/Verbals, Basketball Girls, College Signings/Verbals, Scores, Versailles Tigers|Comments Off on Versailles’ Lauren Monnin signed to play basketball for Edison State Community College. 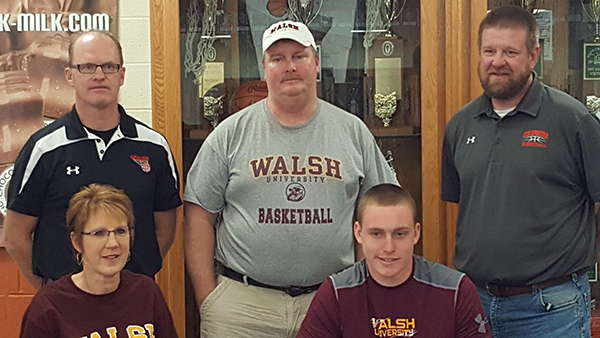 Coldwater’s Andy Brunet signed to play basketball at Walsh University. By admin|2016-04-19T19:43:31-04:00April 19th, 2016|2015-16 College Signings/Verbals, Basketball Boys, Coldwater Cavaliers, College Signings/Verbals, Scores|Comments Off on Coldwater’s Andy Brunet signed to play basketball at Walsh University. 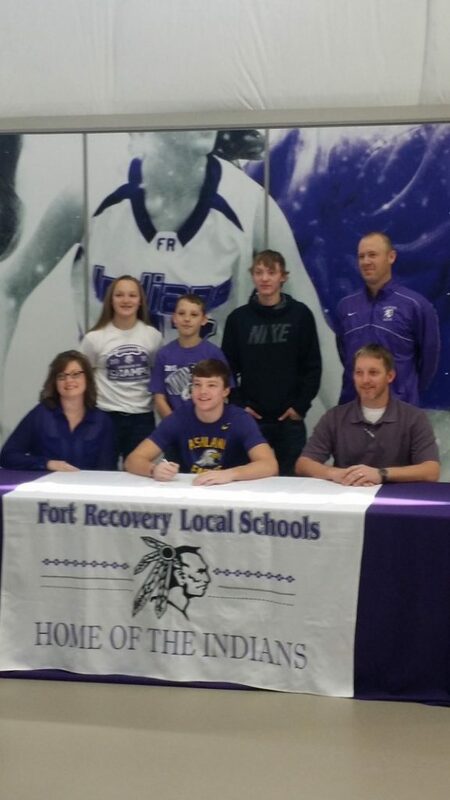 Fort Recovery’s Wes Wenning signed to play football with Ashland University. Part of a Division III Ohio state championship team as a senior, catching eight passes for 121 yards and a touchdown in the title game…Earned two honorable mention All-Ohio selections, and was first-team All-Midwestern Athletic Conference…A four-time varsity football letter winner and three varsity basketball letter winner. 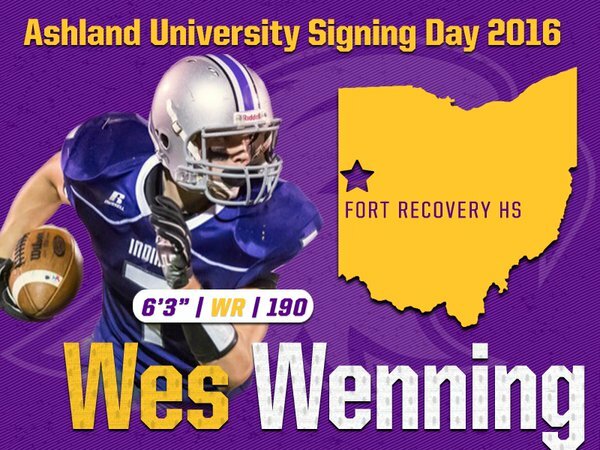 By admin|2016-02-08T00:21:58-04:00February 3rd, 2016|2015-16 College Signings/Verbals, College Signings/Verbals, Football, Fort Recovery Indians, Scores|Comments Off on Fort Recovery’s Wes Wenning signed to play football with Ashland University. 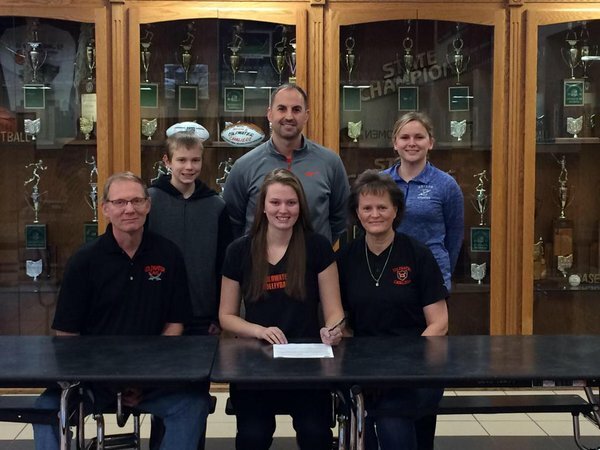 Coldwater’s Denise Schwieterman signed to play volleyball with Edison Community College. By admin|2016-02-08T00:43:24-04:00February 1st, 2016|2015-16 College Signings/Verbals, Coldwater Cavaliers, College Signings/Verbals, Scores, Volleyball|Comments Off on Coldwater’s Denise Schwieterman signed to play volleyball with Edison Community College. 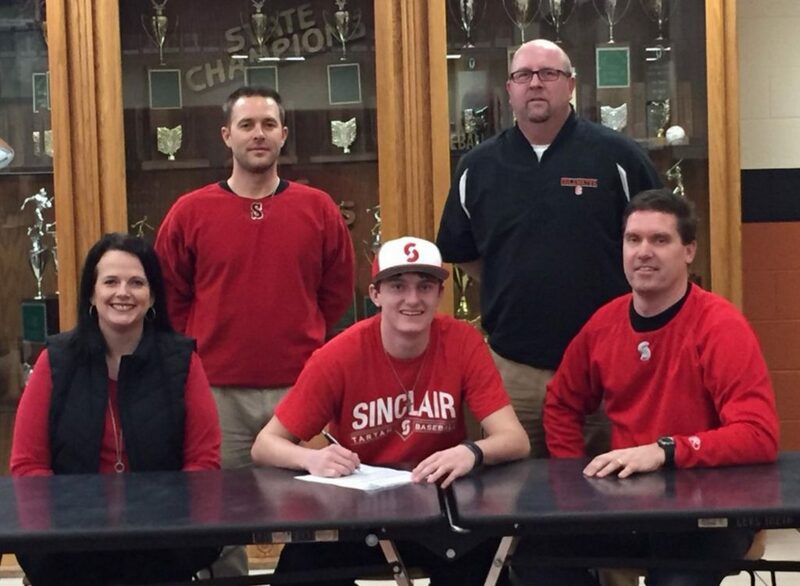 Coldwater’s Aaron Harlamert signed to play baseball at Sinclair Community College. Coldwater’s Aaron Harlamert signed to play baseball at Sinclair Community College in Dayton, Ohio. 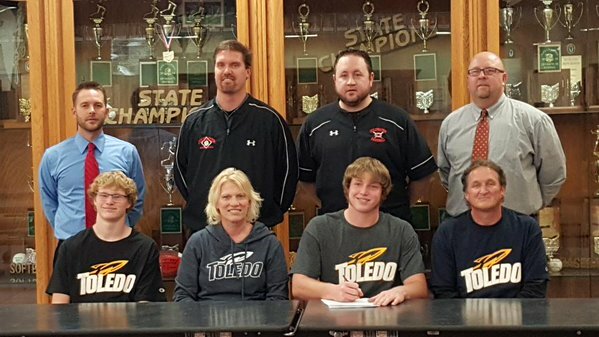 By admin|2016-01-17T13:45:49-04:00January 17th, 2016|2015-16 College Signings/Verbals, Baseball, Coldwater Cavaliers, College Signings/Verbals, Scores|Comments Off on Coldwater’s Aaron Harlamert signed to play baseball at Sinclair Community College. 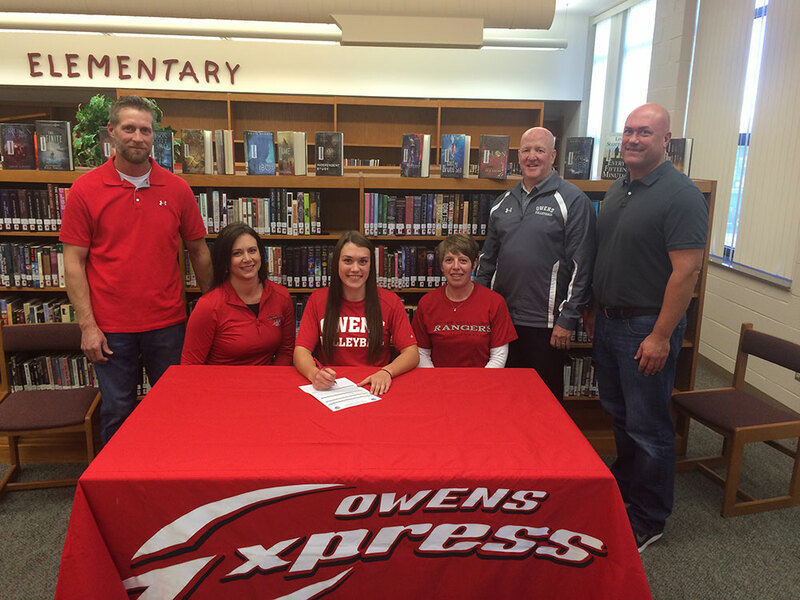 New Knoxville’s Madison Lammers signed to play volleyball with Owens Community College. By admin|2015-11-04T01:20:20-04:00November 3rd, 2015|2015-16 College Signings/Verbals, New Knoxville Rangers, Scores, Volleyball|Comments Off on New Knoxville’s Madison Lammers signed to play volleyball with Owens Community College.